Linda Pinizzotto began her real estate career in 1979, over 35 years ago. She was working in the corporate world at Atomic Energy as their Engineering Liaison for New Brunswick Power, after having left Kodak Canada in 1976 when she moved to Mississauga from Toronto. She realized that she wanted a career with more flexibility. Linda was looking to have a family, and a real estate career would allow her to be close to home and give her the opportunity to raise her children yet still be able to work. When Linda’s first deal was a double ender representing both the sellers and the buyers, she knew she chose the right career. It wasn’t easy in the early 80’s, Linda’s s first son was born in January 1980 and she had 2 more sons by 1984. Most would consider Linda’s passion to be a great mom and also be successful in her real estate career an enormous challenge back at that time before we had computers and the MLS system didn’t exist. “Offers had to be typed twice because the print wouldn’t get through 6 copies” says Linda who used to carry a typewriter in the trunk of her car. It was interesting times, interest rates were at an all time high in 1981, the market had a shift in 1985 and then the real estate market took a huge hit in late 1989 – 1990. In the meantime, all 3 of Linda’s sons excelled when they played in the OBA Ontario Baseball Association Rep leagues and AAA hockey in the Greater Toronto Hockey Leagues (GTHL). Eventually their schedules would became to much and each of them had to make a choice of either hockey or baseball. All of the boys chose hockey and they played on various AAA hockey teams until Bantam level when they were signed by the Oakville Blades Provincial Junior A hockey team. Linda’s oldest son Jason, was a 3rd Round Ontario Hockey League (OHL) Draft Pick playing for the Barrie Colts and St. Michaels Majors. Her other 2 other sons became the Captain of the Blades. Steven her youngest son, received a Div 1 NCAA Hockey Scholarship from Rochester Institute of Technology (RIT) which lead to his NHL signing with the Washington Capitals. 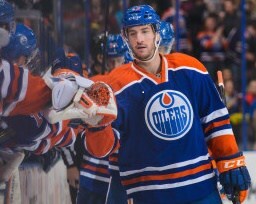 Today Steven is an NHL hockey player signed with the Edmonton Oilers, his previous team being the Vancouver Canucks. One of Sutton Group Canada’s Top Producing real estate agents having won numerous Awards of Distinction, Linda is an industry leader in Mississauga, Toronto and Oakville having established a reputation for hard work and a strong determination to do the absolute best for her clients, family and friends. “It’s all about the negotiations and making sure that my clients have the best results when they buy or sell”. Linda recognizes that her clients need to capitalize on their single biggest investment and she knows they trust her implicitly to protect their interest. She facilitates an efficient professional marketing plan geared for prompt successful results through an effective city and provide wide campaigns. Linda provides detailed information and facts on properties and offers a range of Real Estate services and a team network to assist in the residential and commercial markets. When clients need out of City support, they can depend on Linda’s real estate network and a series of benefits available to all of her clients, corporate relocation and referral program. Linda has been a leader and strong supporter of volunteerism in the community and consistently supports many charity’s and non profit associations including but not limited to Sick Kids Hospital, Children Miracle Network, Run for Life, Red Cross, Cancer Society, Princess Margaret Hospital and the Heart and Stroke Foundation. She has recently been “Knighted” as a “Dame” of the Order of St. George for her chivalry and philanthropy. Linda never hesitates to offer a helping hand because she loves people. She initiated a sponsored a Run/Walk with the Running Room in support of a burn victim, she personally sponsored and hosted the P3 Sports Blue Chip Showcase for 3 years which was listed in the NHL Master Schedule to help draft eligible hockey players into the OHL, she has coached and managed for decades dozens of children sports teams. She is the Past Chair of Celebrations of Youth, a non profit association sponsoring Youth Day where 14-21 year olds can showcase their talents once a year at Dundas Square. Linda was a Director and 2nd Vice President of the Mississauga Real Estate Board and Chair of Government Relations and Political Action in organized real estate. While selling Real Estate, Linda made a name for herself in the Hockey World as the first female General Manager in Junior Hockey. Linda believed it was important to give back to the hockey world so she created P3Sports Entertainment http://www.P3Sports.ca and spearheaded a $70 Million Dollar proposal to build the Mississauga Major Hockey Spectator Arena, today it is called the Hershey Centre. www.COAontario.com In March 2010, she recognized the need for a Province wide Association to represent and protect the “rights” of Condo Owners and make important necessary changes to the Condo Act and a number of other reforms. She believed that better governance, accountability and operations of condominiums will provide a long term sustainability for all Home Owners because condominiums have a huge stake in the marketplace and inevitably can either provide a positive or negative influence. Linda currently lives in Lorne Park in south Mississauga. She has established the PinizzottoTeam to include family members and close friends to make sure that the close specialized services she offers continues to thrive and her clients can feel confident to know that their real estate needs are always protected and serviced with the utmost care that Linda has always offered. Linda has three sons and their beautiful wives/girlfriends, 3 gorgeous grandchildren, a sweet 5lb chihuahua Shelby and in a special loving relationship with her husband Derrick. Her youngest son, Steve is an NHL hockey player with having been 2 years with the Vancouver Canucks and now with the Edmonton Oilers. Her other 2 sons Jason and Marc have equally followed their dreams of professional careers.